Here is the itinerary of the New Scientist History of Science Tour to Europe that I led in 2005. On arrival at Rome airport we will be met by our private coach and be transferred to the beautiful city of Florence, capital of Tuscany and home of the Renaissance, Michelangelo, Leonardo da Vinci and the Medici. It was here under the rule of the Grand Dukes that the intellectual and scientific awakening occurred in the fifteenth century. On our way north we will stop for lunch at the interesting town of Orvieto. Located on the secure top of piece of volcanic tufa, it is an attractive town little changed from the middle ages. We will have time to stroll around the winding cobbled streets and piazzas. On arrival in Florence we will be transferred to our hotel and will check in. We will get together for an early dinner before retiring. This morning we will have a guided tour of the historic centre of Florence. We will see the Duomo which contains the first large dome built since antiquity, the baptistery, the Ponte Vecchio, the Piazza della Signoria. After lunch we will visit the renowned Florentine History of Science Museum. The museum is something of a shrine to the great Tuscan scientist Galeileo Galilei (1564–1642) and features two of his telescopes and large reconstructions of his experiments into motion, weight, velocity and acceleration. The museum also contains a great collection of maps, historical globes, telescopes, astrolabes and much more. Len will guide us around and explain the most interesting exhibits. We will then see the house, once on the edge of Florence where Galieo lived for a number of years, before returning to the hotel. There will also be some free time to further explore this historic city. Maybe visit the Uffizi gallery and see one of the largest collections of works by Leonardo di Vinci in the world, the Acadamia museum which contains Michealangelo’s famous statue “David” or shop and just relax and enjoy the passing parade in this beautiful city. Today we first visit the village of Vinci, birthplace of the genius Leonardo da Vinci. It is found near Monte Albano in a typical Tuscan landscape of olive trees and vines. We will see the house where he was born and lived in and museum devoted to Leonardo. Len will guide us through its collection of over 100 models of machinery built to his plans and designs. We will then visit the town of Pisa where we see the famous leaning tower used by Galieo to study falling bodies and the cathedral where he saw the swinging lamp that inspired him to develop the theory of the pendulum. We will also have some free time to explore this once great maritime city before we return to our hotel. This morning we depart Florence and travel north into Switzerland and the lakeside city of Geneva. We will arrive in the later afternoon and will be transferred to our hotel. We visit CERN. CERN is the European Organisation for Nuclear Research, the world’s largest particle physics centre. Here physicists come to explore what matter is made of and what forces hold it together. CERN exists primarily to provide them with the necessary tools. These are accelerators, which accelerate particles to almost the speed of light and detectors to make the particles visible. 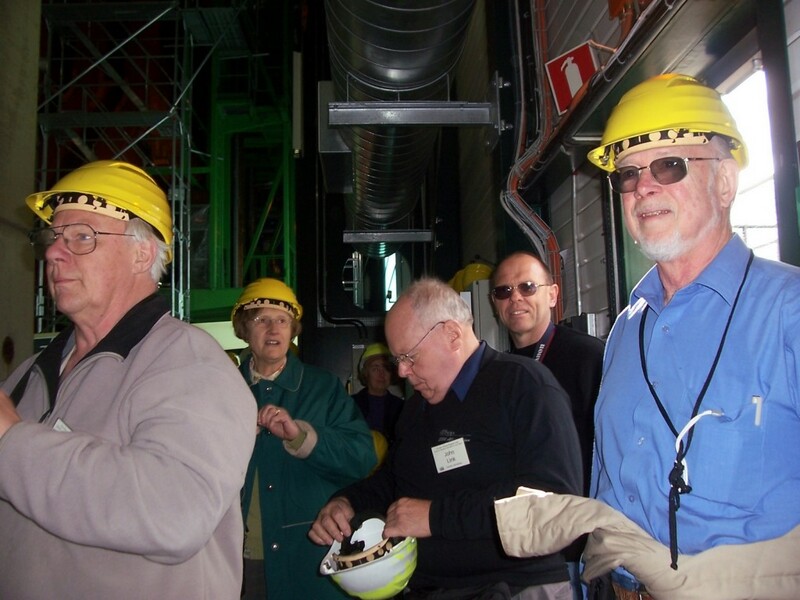 Len will guide the group on an in depth tour of this facility, where the internet was invented and antimatter is crated. It will be a fascinating tour! After visiting CERN we visit Pasteur’s laboratory where he famously did his studies using wine. Today we travel on beautiful Lake Geneva by ferry on a relaxing journey to the town of Nyon where Augustin Fresnel was born. He is known for the invention of the Fresnel lens which is used to project light in lighthouses and overhead projectors. A relaxing and enjoyable journey. The rest of the day will be free. We depart Geneva today and travel by our private coach into France and its capital, Paris. On the way we will be passing through the major vineyard areas of Burgundy. We stop at the town of Arbois where we see the house where the great scientist Pasteur lived and used as his holiday home when he moved to Paris. It was restored on the 100th anniversary of Pasteur’s death and look as though he has just walked out. We continue on to Dole, birthplace of Pasteur and visit the Pasteur Museum, located next door to his birthplace. Today we first have an overview tour of the city of Paris. We see the Champs d Elysee, the Arc de Trimoph and the Eiffel Tower. We stop at the Pantheon which was the original site of Foucault’s Pendulum. In 1851, Jean-Bernard-Leon Foucault suspended a 67 metre, 28 kilogram pendulum from the dome of the Pantheon in Paris to measure the level of the earth’s rotation and solved a problem that had been haunting scientists from classical times. We will also visit the Conservatory of Art and Trades where we see the original Pendulum. Today we visit the Pasteur museum. Louis Pasteur, one of the most important scientist in France. He first worked on crystallography and understanding crystals, he then moved on and discovered that all fermentation is due to the presence of a micro-organism. He discovered bacteria and the process of Pasteurisation to protect against disease. Working further from the discovery of micro-organisms, he worked on the study of diseases and vaccines, the work which the Pasteur Institute carries on today. Len will guide the group through Louis Pasteur’s apartment where we learn about his scientific career. We also see the collection of scientific souvenirs and the crypt containing Louis Pasteur’s tomb. Today we fly from Charles De Gaulle airport to and then travel north to the beautiful University city of Cambridge. While we are here we visit a number of sites associated with Isaac Newton and the University. We will also have a guided tour of the city and of the university as we get behind the usual tourist areas and into the heart of this scientifically very historic place. Len’s knowledge and insights will be invaluable in our investigation of Cambridge. Today we visit historic Kings College where the great economist Keynes studied where we see Kings College Chapel the final and most glorious flowering of Gothic Perpendicular architecture. We then visit Trinity College the most spacious college in Cambridge and home college of Sir Isaac Newton. In first floor chambers near the Great Gate, Sir Isaac worked on his Laws of Motion. Fracis Bacon, Byron, Thackery, Tennyson, Hewell Bertrund Russell and Macaulay are among the many illustrious people who studied at Trinity. Have a pint in the Eagle Nest Pub where many scientists used to come to relax. We will see where Watson and Crick chatted about their research into DNA. We will then visit the old Cavendish Laboratory which was instrumental in so many scientific advances. Rutherford carried out a lot of his research into the nature of the atom here, as did Watson and Crich with their research into DNA. This morning we depart our hotel and travel by our private coach to London. We first travel to we Down House, the home of Charles Darwin. It was at Down House that he raised pigeons, studied earthworms, and dissected barnacles. Here he sat, pen in hand, and wrote out his books that provided so much of our modern understanding of how nature came to be the way it is. Len will guide us around this fascinating house were Darwin formulated a number of his ideas and we see his old work room set out as he had it. We continue on to London we will be transferred to The Forum Hotel which is very centrally located. London heart and capital of the once great British Empire is still one of the most exciting and interesting cities in the world. The rest of the afternoon will be free for shopping and sightseeing. This afternoon we visit the Alexandra Fleming Museum where we see the lab where penicillin was discovered in 1928 when a petri dish of bacteria became contaminated by a mysterious mould. Len will make sure we get the most out of our visit here where we see the lab restored to how it was in 1928. Today we first visit the renowned Science Museum. 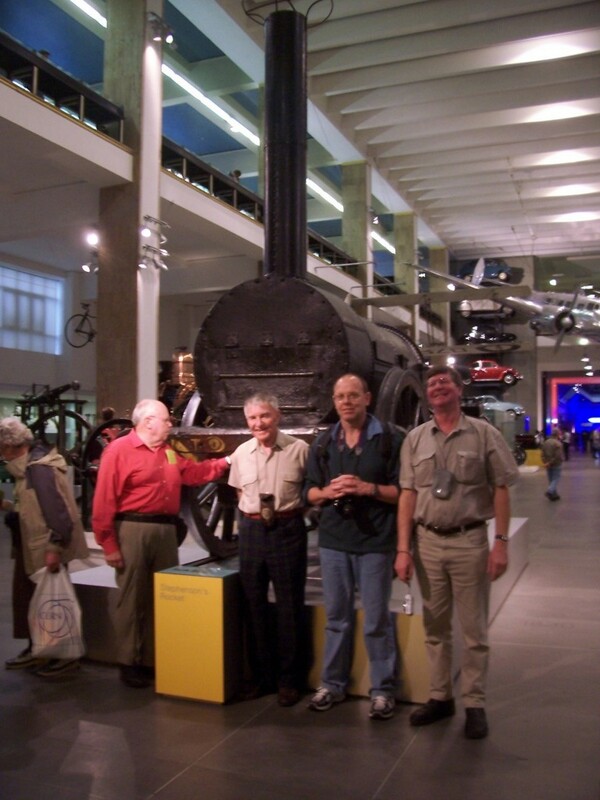 Len will guide us around some of the museums to some of the more interesting exhibits. A guide will give us an insight into the history of the collection and its place in the history of Science. We will then visit the vast cathedral like Natural History Museum which is one of the largest and most museums of it’s type in the world. We will also visit the famous Royal Society in London. We will see their historic library and learn about the history of this historic institution that dates to 1660 and had as members every leading British Scientist from Isaac Newton onwards. The morning and afternoon will be free for shopping and relaxing before we transfer to Heathrow Airport for our evening flight for Australia. This morning we arrive in Australia on the conclusion of this tour. We say farewell to our new fellow travel friends and companions.